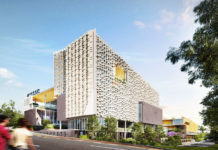 The Star Entertainment Group revealed that it had begun the planning process for a new, 200m high hotel adjacent to its existing Jupiter’s Casino. The hotel is part of a $500 million redevelopment of the existing casino and hotel. 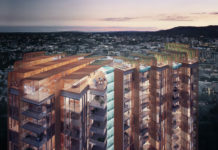 The new development will be built with Star Entertainment Groups Queen’s Wharf Brisbane partners, Hong Kong-based Chow Tai Fook Enterprises and Far East Consortium. Jupiter’s is already seeing significant investment with a new 17-storey 6-star hotel under construction. The new hotel is a positive step and shows the confidence that the Gold Coast is going to see a significant increase in tourist numbers. The new hotel will compliment the refurbishment of the existing hotel and the 17-storey luxury tower currently under construction. Complimenting the new hotel will be a Live Sports Theatre, a Queensland first in which sports fans will be able to watch sports events from around the world with cinema level sound and visual quality. The new tower is expected to house around 700 hotel rooms and apartments. This will bring the casino and resort’s room numbers to almost 1400. It is expected that the proposed new tower and sports theatre, and the six-star all-suite hotel where works are already underway, could generate in total more than 1000 construction jobs. Jupiters’ workforce could also increase to around 2300 employees once the projects were complete and the new areas operational. The new hotel to be a 4.5 stars, the existing Jupiter’s hotel 5 star and the new currently under construction hotel 6 stars, enabling Jupiters to appeal to a vast range of demographics. The redevelopment will compliment the soon to be completed Pacific Fair Redevelopment Fair across the road from the Casino which will reinvigorate Broadbeach and significantly increase tourist numbers. 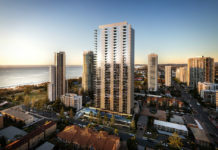 Star Entertainment Groups significant investment in Jupiter’s reflects the increased confidence seen on the Gold Coast. The previous year has seen airlines commence new routes direct from China to meet the increasing numbers of Chinese Tourists visiting the Gold Coast. Jetstar commenced direct flights to Wuhan, China and Hong Kong Airlines commenced flights from Hong Kong while Sichuan Airlines are expected to commence flights from Chengdu China direct to the Gold Coast in 2016.